The American Cancer Society’s Making Strides Against Breast Cancer Across Second Life is pleased to present an ultimate luxury home for auction, with all of the proceeds going toward raising funds for breast cancer research. 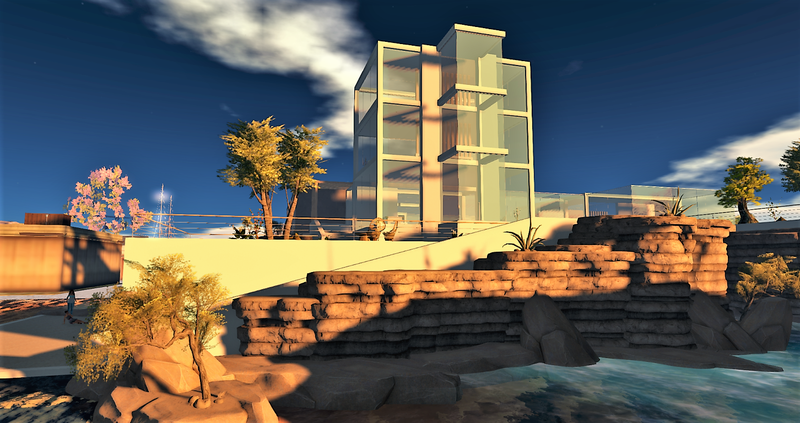 AXL Pro Design has donated their Technozen Acqua House Furnished Easy, priced at L$79,999, for the auction. Creator Slash Hansome has put everything you could possibly think of when it comes to luxe living in this house and club, and Spire encourages shoppers to explore the house, which will be on display starting on Oct 1. 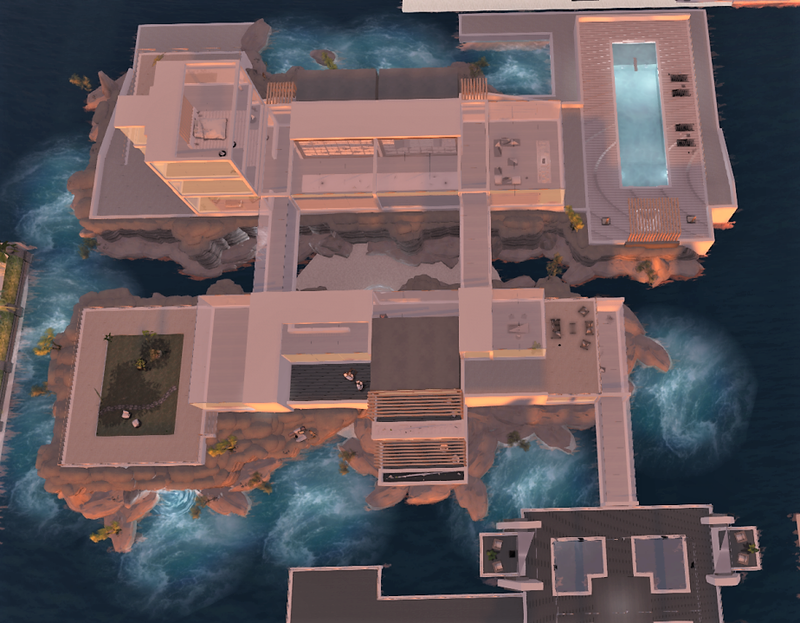 With a footprint of 128 meters by 128 meters and 4,899 prim, the one-of-a-kind modernist home boasts 93 adult menus, which means there are thousands of possible adult animations. This new Japanese-inspired house has 4 bedrooms, a bar and lounge, private cinema, jacuzzi room, sauna, gym, three lounges, a kitchen, dining room, office, billiard lounge, a garage, two living rooms, balconies, an elevator and a piano lounge -- all with adult animations. This house has it all, even down to a security camera system, dishes in the cupboard and fully stocked refrigerators and bars! And, for the bold of spirit, there are even two secret rooms waiting to be found. While touring the home, get your landmark and details on the Auction Party being held on Friday, Oct. 26 and all the info on how you can place your bid. If you have any questions about the auction or MSABC please contact Leala Spire or Sandie Loxingly. Parade of Homes: Starting Oct. 1, shoppers and homebuyers can pick up a Parade of Homes HUD at the Strides office and then discover some of the great home designers in Second Life, get your new home, and fight breast cancer – all at the same time. The parade of homes will conclude with the special live auction for the AXL Pro dream home. Out Shop Breast Cancer: Starting Oct. 1, this event will take shoppers across the grid, exploring and shopping at stores in support of Strides. Store-owners will use American Cancer Society breast cancer vendor kiosks to feature special products in their stores. 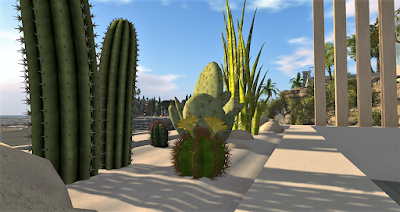 Shoppers will make their strides across Second Life by teleporting from store to store with the Out-Shop Cancer HUD, available at the Strides office. Making Strides Against Breast Cancer Walk-A-Thon: Registration is now open for the Oct. 20 walk-a-thon, https://makingstridessecondlife.org/get-involved/strides-walk-2018/. Join fellow walkers on the track or sponsor a walker for the 10 a.m. to 6 p.m. SLT event. MSABC Gala: The annual gala event will be 2 to 5 p.m. SLT on Oct. 27 and celebrate breast cancer patients, survivors and pay homage to loved ones that are no longer with us. This is a chance to meet new people, reconnect with old friends, and share stories with others about your personal connection to breast cancer. This is a formal attire event with special live performances. Donations are encouraged throughout the event.